POSSIBLY MY BEST TRAVEL MEAL EVER. A SIDEWALK CAFE IN ODESSA, UKRAINE. I HOPE TO DUPLICATE IT ALL ACROSS RUSSIA. My new best friends are the extremely friendly and very competent staffs at Real Russia and Mongolian Secret History. 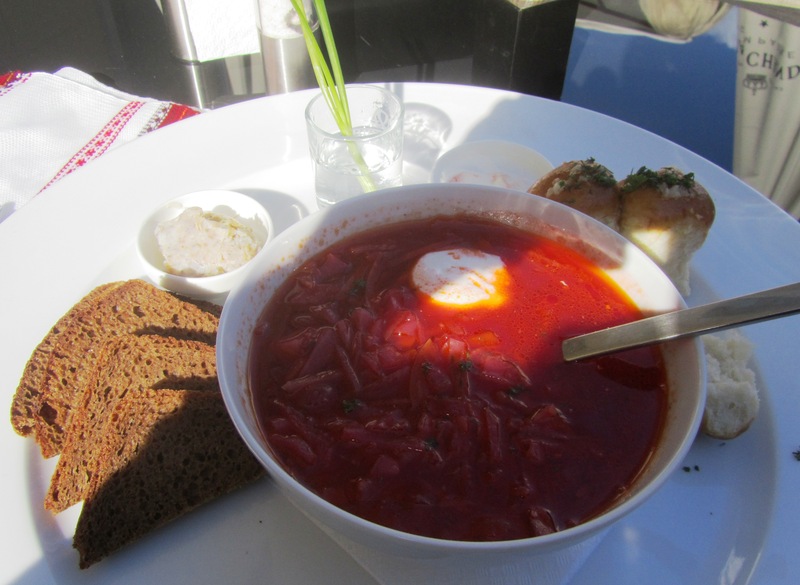 First a bit about Real Russia. Since travel to Russia had become the centerpiece of this trip, I really wanted to work with Russian travel services to get everything booked. I must admit though to just a tiny bit of apprehension about whether I would meet up with that much-ballyhooed Russian negativity when it comes to customer service. There had to be truth in all of those tales of Soviet-era bad attitudes for so much to have been written about it—didn’t there? But let’s face it; both Russia AND the U.S. are masters of propaganda so I’m going to assume the proof will be in the pudding—in other words, my experiences with actual Russians. So far, if Real Russia staff are examples, the pudding will be very tasty as they are great. And, honestly, it seems that if one is pleasant, polite and happy to be wherever she is, the locals are likewise. WELCOME TO REAL RUSSIA! If you have already tried the “do it yourself” approach to getting a Russian visa, booking a journey on the Trans Siberian Express, finding affordable quality accommodation or even getting a taxi from the airport, then you know why you are here! Real Russia is an officially accredited specialist agency with offices in Russia and Europe. Our award winning dedicated team of Russian and regional travel experts are on hand to help you get the most from your trip to, through and beyond Russia. First the Back Story. There is always a back story. There were three concurrent travel tales playing out as this journey to the journey began. First there was my vaguely urgent sense of needing to travel again soon because…well you’ve already heard all of the reasons. Secondly it seemed that my friend Beth and I might finally take a trip together since the idea of the Trans-Siberian Express initially appealed to her—and we’ve always meant to do something like this. Thirdly, my life only feels in order if I have some travel-related idea, action and/or problem to worry about. Soon however the stories diverged. As I start researching train details, Beth became less sure that five days on a train through the Siberian forest, locked in a tiny compartment with only herself and me for company was such a great idea. And anyone who knows either of us would probably agree—not that we aren’t delightful companions—except for me not wanting to talk to anyone and Beth not wanting to spend her time writing about what she could actually be experiencing. Long to short, we agreed this might not be the trip to take together. And, even at that early stage of planning my ‘vaguely urgent’ travel desires had become…urgent…concrete… inescapable! Questions of age, affordability and energy be damned. So I went to my happy place which involves maps and credit cards and lots of googling. I endlessly contemplated the best ‘loungewear’ for the aisles of the Trans-Siberian Express. I started agonizing over the perfect backpack again. I pondered the practicality of it all. Actually that’s not true. If practicality were a consideration I would not be here writing to you about the Trans-Siberian Express this tired Friday night. Truly though, the down and dirty, serious, not-to-be-reneged-on plans began with a stream of emails between Alla of Real Russia and me of Real Travel Obsession. If this all sounds like a promotional piece for Real Russia that’s okay since I am now a Real Fan of theirs. Obviously there is so much more to say. Next post, I’ll share what’s been booked so far and, then, we’ll move on to Mongolia! 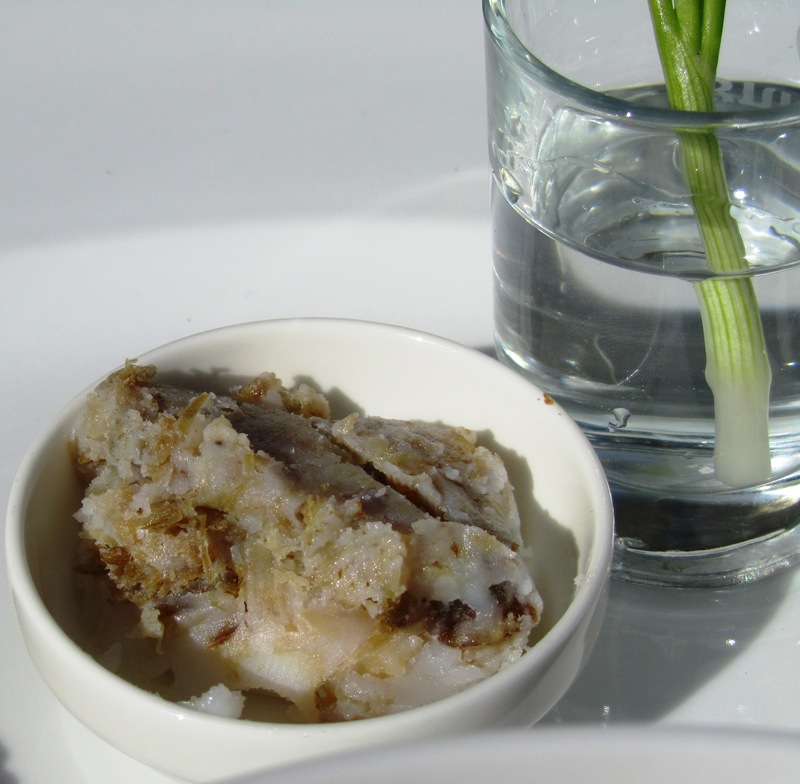 WHAT MAKES THE MEAL REALLY SPECIAL IS THE MEAT FAT FOR THE BROWN BREAD AND THE VODKA WITH AN ONION SPRIG FOR COLOR. 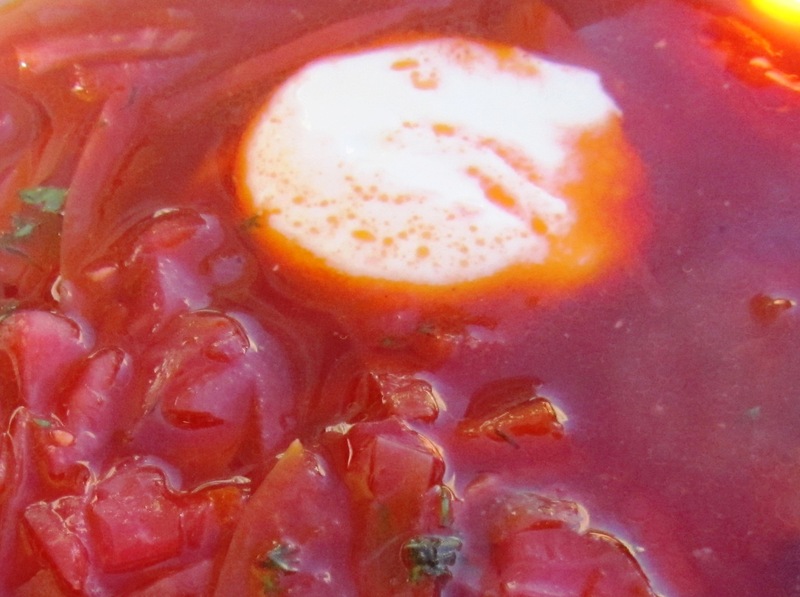 I had borscht once, in New York City at the Russian Tea Room. It was delicious and I was very excited to be there as I had heard it would be an restaurant experience, and it was. I am waiting to hear about the plans. This is very exciting.